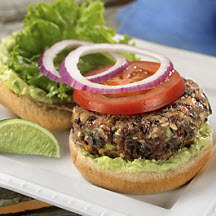 CooksRecipes has quality, kitchen-tested recipes for vegetarian burgers that you can count on for successful deliciousness. Recipe courtesy of the American Diabetes Association and CanolaInfo. 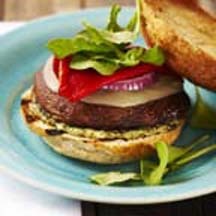 A simple pesto mayo, slices of provolone cheese, red onions, roasted red peppers add extra flavor and color to these terrific veggie burgers. 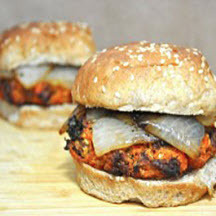 Recipe adapted from The Tolerant Vegan, Winner of the 2012 No More 'Mallows Contest.